Portrait of William Holmes McGuffey, no date. 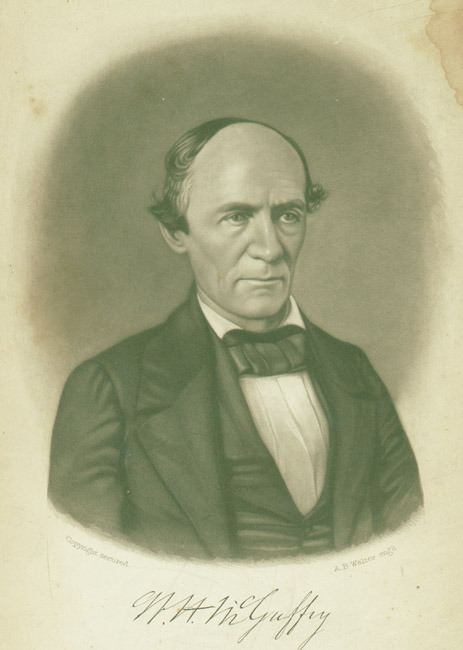 The Reverend William Holmes McGuffey taught moral philosophy from 1845 until his death in 1873. "Old Guff" was the first clergyman hired as a professor and his presence did much to alleviate the image of the University as an "infidel institution." 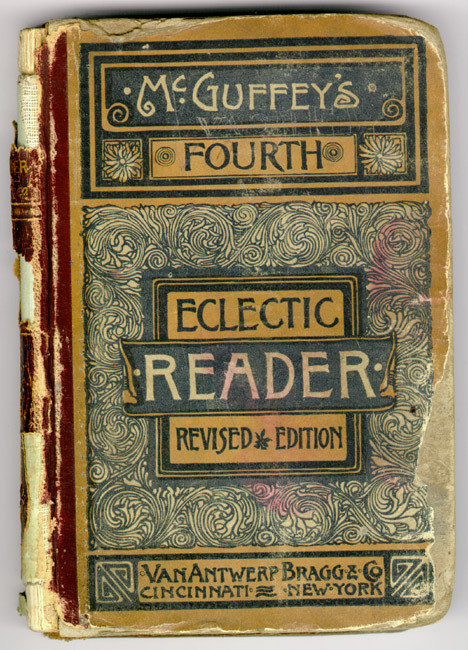 William H. McGuffey, McGuffey's Fourth Eclectic Reader. Cincinnati and New York: Van Antwerp, Bragg & Co., c1879. His greatest fame came from the McGuffey readers through which generations of young Americans learned to read and absorbed the moral messages the reading selections conveyed. This reader, published six years after McGuffey's death, was used and abused by the future poet Vachel Lindsay. It was a gift to the Library from alumnus and Board of Visitors member, Clifton Waller Barrett.